I really like the Cinderella cover! Her dress, while not exactly silver, is pale enough to pass off for that color. Wishful thinking would imply that Disney did that on purpose because the new restoration features an actual silver dress as Cinderella is running down the stairs and not blue like in the Platinum/Diamond Editions. Of course her hair is still that icky color of blonde but we can't have everything. I could care less about the sequel cover art, but I did notice that Gus is portrayed in light green like in the VHS/Laserdisc days. The Platinum/Diamond Editions depicted Gus in yellow and all the merchandise and clipart for him has been like that as well. 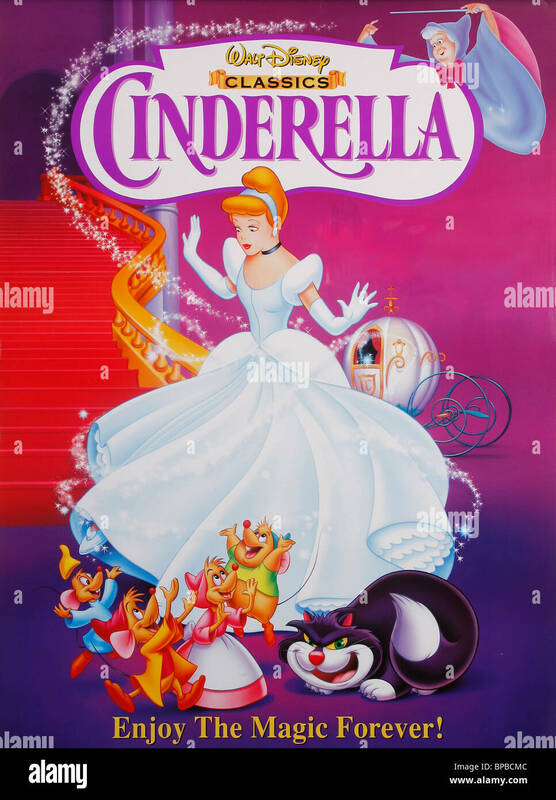 Maybe this new color on the cover is a sign that Disney has used a better restoration for the original Cinderella, one where Gus wears green and not yellow, but I'm probably looking too much into it. It's beautiful! In the first image, she kinda looks like Snow White, doesn't she? The drawing of her on the sequels' cover has been featured on the 2012 release of Dreams Come True (the digital HD release, and I think that Europe also received a DVD release for that one). Why is this being called the Anniversary Edition instead of the Signature Edition? Hopefully it actually is the same thing, just being touted as an Anniversary release (I think they did that with Little Mermaid). Nevertheless,I love the first pic! Hopefully they’ll fix the shoes and then it’s perfect! I hope the picture of her on the stairs is the cover, maybe with the clocktower in the top left. 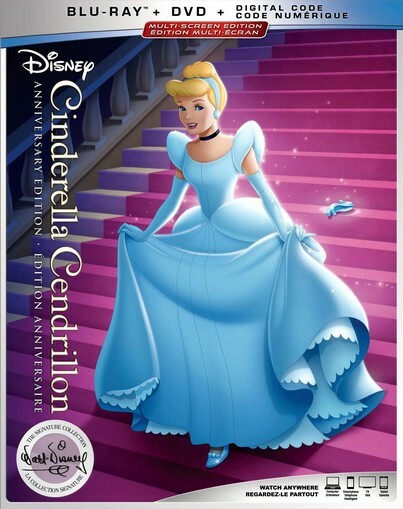 Wishful thinking would imply that Disney did that on purpose because the new restoration features an actual silver dress as Cinderella is running down the stairs and not blue like in the Platinum/Diamond Editions. IF there is a new restoration. 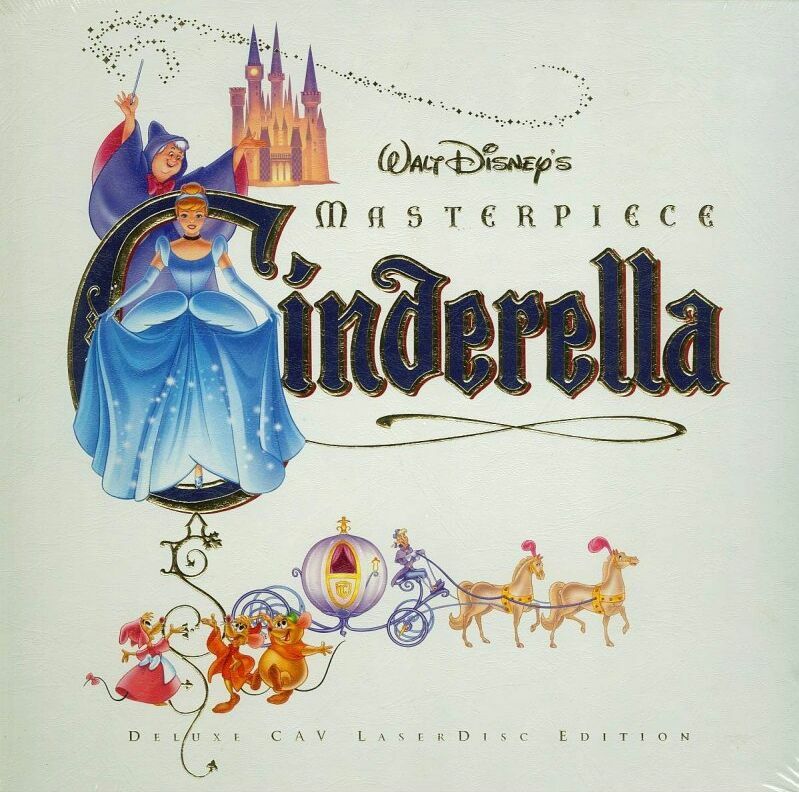 I want to be 100% sure that the upcoming Cinderella Anniversary Edition Blu-Ray will have a brand new transfer that is different from the Platinum and Diamond Editions, please. It REALLY deserves one. I've already contacted Disney many times about this, and the color and DNR problems have been well known and documented, even among those working at Disney. I would like to introduce myself. I am an associate with the Member Advocate Team for the Disney Movie Club. We are not aware of any differences. It's true, JeanGrey, would like her dress to be more silver and her hair to be more orange, but I'll take these colors as the "more marketable" colors for a home video cover which would take artistic license anyway. I don't know, I like the colors. I can kind of see her looking a little like Snow White, Sicoe Vlad, but she still looks almost like she should to me. The art for the sequels is the same pose from the last sequels' release, but it is a different drawing. She actually is now more off-model than the previous artwork which actually had her very on-model before, lol. Lucifer, it is odd they are calling it an Anniversary Edition, but the reason is because it's 70th anniversary is next year, and they will still also call it a Signature Collection. Well, probably, lol. I know you may not even see this or care, Disney's Divinity, but your idea of putting the clock tower in is downright genius. I hope for that, too. And yes, it should be HEARTS, not bows! You know, also, her dress usually has three pleats in the middle of the skirt in the film, so I think it should have three pleats on the cover, too. I also wonder why they picked her losing her slipper on the stairs, if not just to tie-in to the live-action cover, but also because the Legacy Collection cover had her on the stairs? And also, one of the most infamous restoration comparisons for this film was her losing her slipper on the stairs! I really hope the cover is like Peter Pan's in having the title horizontal and no white space! Hardbackyoyo, I know you really want to know for sure if this will have a correct-looking restoration or not, but I swear I remember everyone else who talked to a DMC person saying that it will be restored right this time, as well as other news sources. So we are going to have to be patient. We can't know until it comes out, which will probably be in June. I don't think I like the cover. It seems like she stopped to take a pose fore a picture in a moment when she should be in a hurry. According to the Canadian cover, it is an "Anniversary Edition", but also part of the Signature Collection. 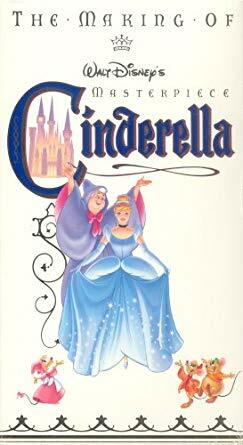 Probably my favorite U.S. cover for Cinderella, even if the shoes should have hearts instead of bows. I like that they used the same moment as the Legacy Collection soundtrack release did for its cover. Now I just hope there's a new restoration; I want to pick the film up on Blu-ray either way. Just wanted to add that I love the cover Mooky posted a page or two back. I'd never seen that one before. Last edited by Disney's Divinity on Thu Apr 18, 2019 1:46 pm, edited 1 time in total. Agreed. The pose is ridiculous and meta (why is she is staring at us? ), her face is horribly off-model and clipart-y and the proportions of her body are also off (she seems more short and stout than normal). I hate this cover. The scene they chose to portray is not a bad choice per se as it’s the seminal moment of any Cinderella adaptation— when she loses the slipper. But it’s a moment of action, of urgency and drama, Cinderella is scared her pretty gown will turn to tatters before the Prince. But this cover loses all that for a marketable product. Really a let down. When I was in Disneyland Paris a few years ago, there was a French poster for the film regarding a cinematic re-release. It was absolutely AMAZING, and I can see that someone popped it onto arrtwork here. It's a great poster. It's a shame it was never used on any of the home video releases. 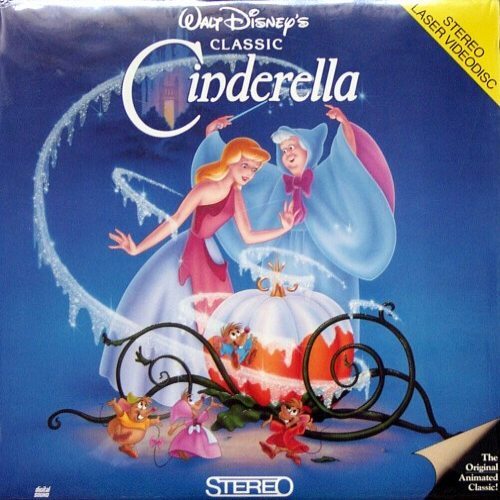 That's one of my favorite home video covers for Cinderella as well along with this one and this one (and its variant). I've never seen the laserdisc before. I do like the logo and the coach part of it. What release was the cover Mooky posted for? The VHS cover is alright, but I prefer the Signature cover to it and the laserdisc's, the Platinum's, and the Diamond's covers in the U.S. I wonder what the Target and BestBuy exclusives might look like? I'm not getting either of the exclusive versions after how much the TLM one cost unless it's a re-creation of the storybook within the film itself, but I am curious what they'll look like. What release was the cover Mooky posted for? The 1997 UK VHS release. I'm not getting either of the exclusive versions after how much the TLM one cost unless it's a re-creation of the storybook within the film itself, but I am curious what they'll look like. That would be really cool though I doubt they'll go for it. I also agree. If she wasn't looking at us though, it would be a nice cover in my opinion. I actually love the cover. Because it is drawn fairly well, I like the pose, I love th colors and shading, and I love that the art takes up the whole cover. I just wish it had the title horizontal and the shoes had hearts instead of bows. I actually like the meta pose Sotiris, because covers can take artistic license. But I also admit doing the scene with Cinderella's expression from the original scene would be better. And you are mostly right about her face and proportions, I just think her face is near on-model. Sotiris, did you miss where I came up with the original idea for using the film's storybook as the steelbook a one page back? Last edited by Disney Duster on Thu Apr 18, 2019 11:27 pm, edited 1 time in total. Duster and I agree on something. Surely this is a harbinger of the Apocalypse.